So in the last post I talked about how in the process of testing a method for 3D mapping the underwater environment, we lost me GoPro. Well In the days following that little misadventure, there were two different attempts to find it. Both were trips came up empty. We assumed the current or a lucky Scuba diver had taken my camera and I’d even started researching the cost of a replacement. Fast forward to today. We’d planned to do a more thorough search for the reef today. In addition to the ROV, I was going to go snorkel the area and search for the reef. I also wanted to make one final attempt at finding my lost GoPro. So while Mitch and Jesse got more practice on the ROV, I started my search. I found the area where we’d spotted the GoPro the previous weekend and I searched high and low, in among rocks, all over the place and drew the obvious conclusion that it was gone. I then turned to helping the ROV find this disappearing reef. I swam out in the direction I’d been described, and while I saw some beautiful fish in among the Dolos wall, I didn’t find a reef. I decided the last part of the attempt would be to swim the ROV out as far as it could go in the direction I’d just been swimming so see how far it could search. So I swam back to the entry point where Mitch was sitting. Now there was a bit of surge today and the entry point is a bit rocky, so I was cautious about getting tossed on something sharp. Close to shore now and I suddenly found the water pushing me forward and I almost went face first into some rocks on the seafloor ahead of me. I put my hands out to steady myself, and as my face came close to these rocks, I saw into a gap between them and thought, “you gotta be s***ting me” and sure enough nestled down in between these two rocks sat my GoPro!. I quickly reached in and grabbed it before making my way up to the steps. Photos or it didnt happen right? After a whole week, The GoPro had survived intact and still working. I’m yet to analyse the video. So a few people have assumed my time in South Africa is all exciting adventures. Its definitely exciting at times but I’m living in a small town with limited money so the weekends can be somewhat quiet. This weekend however was eventful as me and two other field specialists from Oceans decided to go and start getting some ROV piloting practice. The ROV (essentially an underwater drone) is going to be used by Oceans Research to document the fish population of a near shore reef. The goal is to see how an ROV compares to other methods of data collection for similar projects. The first step was getting good at piloting. So on Saturday afternoon, Jesse, Mitch and me gathered up our equipment. We headed down to a small public access pier near the main harbor in Mossel Bay and got to diving. Now I figured, being so close to a heavily used boat slipway we wouldn’t see much. We’d genuinely planned it as a chance to get more piloting practice for some upcoming research. Boy were we wrong! we found a small reef and schools of fish all around! Some members of the general public came by curious about what we were doing so we enjoyed a bit of impromptu science communication about the reefs in the area. The kids especially were really fascinated. There were heaps of fish for us to see and it proved to be a really fun first dive. I’d done some practice dives back home in a harbor. But it was a sandy area with little to see. This dive really opened my eyes to whats possible with this technology. I was really excited! Hoping for a repeat performance of Saturdays success we decided to head on Sunday as well. This time we were deploying at a similar site nearby to the first at the site of a nearshore reef that we hoped to study with the ROV. Today was just a test. But it quickly turned into a bit of a misadventure. We decided to test out a few new toys for the ROV. In hindsight we were maybe jumping the gun just a little bit. The first thing we tested was a special type of GoPro mount. The mount attached to the bottom of the ROV and allowed the GoPro to face straight down. This would allow us to shoot detailed footage of the seafloor which could in theory be turned into a 3D map of the seafloor. So we deployed the ROV and headed out. We started alright, but the water was pretty choppy and we banged into a few rocks. When we got further out, we charged out into calmer water, we couldn’t find the reef which was pretty frustrating to say the least. So we figured we’d cut our losses, detach the GoPro attachment and just practice piloting a bit more. SO I piloted the ROV back into the shore, Jesse picked it up and I’ve immediately said “Oh s***!” when I saw that GoPro was gone. The GoPro mount I’d 3D printed had snapped during one of those collisions with the rocks. Jesse was about to go jump in to try find it but I had a better idea. I quickly pointed out that the second ROV attachment I’d prepared to test was a grabber claw. Here is a video of what I’m talking about. Out of that, a rescue plan was born. Admittedly, it was a wildly optimistic plan: Use an untested grabber claw to search somewhat choppy water for a small camera we hope to grab in rapidly fading sunlight with an ROV we just barely knew how to pilot. But we’re an optimistic bunch of , and much to our surprise we found the Camera! Sadly no, while we were able to find the GoPro (much to our surprise). The water was too choppy for the ROV to make an approach and grab it. It is close to shore so it is retrievable. Yesterday one of the Jesse tried to go for a swim to retrieve it. The visibility didn’t allow it. Another attempt will happen today, cross your fingers for me! So things have been a bit quiet for me lately since I’ve been a bit sick but that doesn’t mean nothing cools been happening. Roughly 25% of know shark species lay eggs. But they dont look anything like what you’d imagine an egg to be, Here is an example. Well to answer that you need to think about the environment they’ve evolved in. When a chicken for example lays an egg, that egg will more or less stay in the same spot unless moved by someone else. Its not like a strong gust of wind will blow it away. The problem a chicken egg faces is air. Its pretty dry biologically speaking and an embryo needs to stay wet, so a thick, hard shell make sense from a protection point of view. But lets apply the same thinking to sharks. They live in a wet environment so they don’t need to invest in the extra protection of a rigid egg case. But more importantly, that gust of wind analogy suddenly has serious consequences in water. A strong water current could easily pick up a light shark egg and carry it far away. If that happened, the new born shark might find itself far from home and unable to survive. Thats where those weird shapes come in, they create ways for shark eggs to get caught on rocks, seaweed or anything else that might keep it in place. So thats all for this post. As always, feel free to comment or ask questions, and most importantly share it around. Next week I should hopefully have some ROV dives to share! So sorry to say it but I wont be jumping into shark science just yet. For my first day of field specialist training I was doing some inter-tidal surveys with the new interns to watch how a more experienced field specialist teaches it. For those who don’t know the inter-tidal zone is basically that area where the land meets the sea, its an area where a heap of marine creatures live and its an area that can be very reactive to changes in climate, water quality and anthropogenic impacts. As it turns out inter-tidal zone of Mossel Bay is in a particularly interesting area because of two large oceanic currents. The Agulhas current comes down the coast from the east and brings warm water. The Benguela current comes from the south bringing cold waters up the west coast of Africa. Mossel Bay sits smack dab in the middle. What this means is that while warm water environments typically have high species diversity but low abundance and cold water environments typically have low species diversity but high abundance. Mossel Bay gets the best of both worlds. But back to the surveys, we were basically being kids exploring rock pools. But with the crucial distinction that we were writing down everything so it counts as science. What we did was lay out a long rope, then starting at the low tide mark, place a 1m x 1m square on the ground every 2.5m and count all the critters that we found inside. This may not sound as fun as getting up close with Great whites but its incredibly interesting. In my case, I was particularly amazed by the limpets. But whats that you ask? A limpets a type of gastropod. Imagine a snail, except instead of living in a swirly shell, imagine it lives under a dome shell and you’re in the ball park. They look like this. They spend their lives clinging to rocks in rock pools all around the world and while they look pretty mundane, they’re actually incredible! 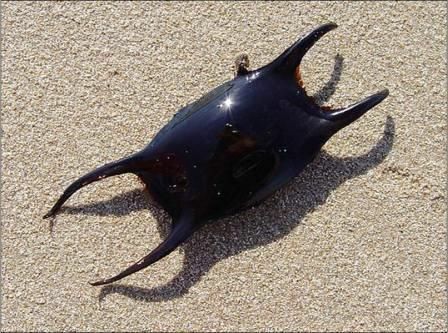 Looks pretty dull, but this little guy can paralyze a starfish! Starfish living in these rock pools eat lots of things including some types of limpet. They manage to get under their shell and flip them over to feast on the unprotected underside. But this limpet carries a special toxin, and when the starfish makes contact with its flesh, it gets paralyzed while the limpet gets to make a sneaky getaway. I figured these guys needed a little highlighting as they have a tendency to blend into the background a bit. Whats cool about star limpets is these two are actually separated for a very good reason, they’re ultra territorial. This is because star limpets actually tend a garden or algae all around them. You can see it fairly clearly with the limpet at the top of the photo. It cultivates and maintains an algae crop that it can feed from and if any star limpet dares enter its territory, there’ll be hell to pay! If a territory is invaded, the limpets will fight each other, trying to get their shell over the edge of the other before sucking onto the rock to crunch down on their opponents shell. Hopefully the snail on that top limpets rock is quick enough to escape! So there is a fun story about these ones. Back when I interned with Oceans Research last year, during one of the inter-tidal survey sessions, one of the field specialists made an offer to me and a friend. “If you can pull that limpet off the rock, I’ll give you my van” he said. With our heads filled with visions of cheap trips up and down the coast on the weekends, we spent longer then I’d care to admit trying to win the van. I only found out on Thursday just how safe a bet that was for the field specialist when he pointed these out to me. What I had thought were random markings on the rocks were actually grooves created by shield limpets shuffling around, and then suctioning onto the rock. With that kind of power I finally understood why we never had a shot at the van. Hopefully you have a new found appreciation for these weird and wonderful critters, feel free to post questions in the comments sections and stay tuned for me next week!